So, you didn't quite get around to that spring cleaning, did you? Clear off shelves and tables now; less stuff means there's less to dust this summer. Relax. Summer is a season for second chances and you can still do some basic buffing now to make your house cleaning routine a breeze this summer. Besides being more comfortable, a summer-fresh home will need less attention to stay presentable in the weeks ahead, giving you more time to spend outdoors with friends and family. Here are a few easy house cleaning hacks to make your summer more enjoyable. Launder or dry clean pillows, comforters and draperies. Shampoo carpets. Wash windows and floors. Stop sand and dirt at the door. Have family members remove sandals and wet thongs before entering. Clear your closet of winter clothes. Bundle up bulky sweaters and wool trousers and stash them beneath your bed. Or simply rotate the cool-weather clothes to the back of your closet and drawers and place the seasonal brights front and center. No more frustrating and time-consuming searches for those cool linen shorts. Erase reminders of winter and spring. Remove such wet-weather reminders as fireplace tools, wool throws and umbrella cans. 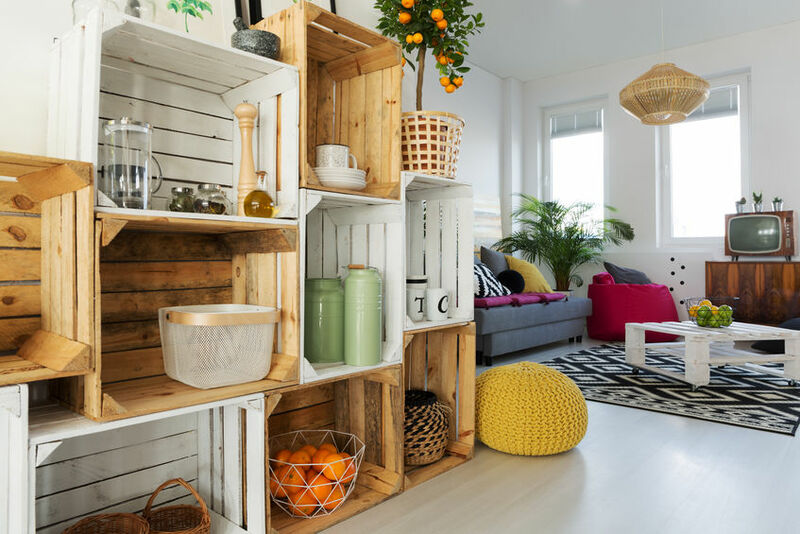 Replace them with carefree reminders of summer: fresh flowers; lightweight, colorful pillows; straw and sun hats hung on Shaker-style wall pegs or a simple coat rack. Cool it on clutter. Clear off shelves and tables. Less stuff means there's less to dust - and more time to spend outside with friends and family. Become a speed cleaner. Break down big jobs into small manageable tasks, and tackle them day by day to save time. Clean the microwave Monday and the toilet Tuesday, mop the floors Wednesday and tackle the tub Thursday. By Friday, your big target areas - the kitchen and bathroom - are nearly done. Spend a few minutes on surface duty, and your home is clean; and the long lazy weekend ahead is yours. Make sunnier arrangements. Move the sofa and chairs away from the wall or fireplace and toward the window, then arrange them no more than 10 feet apart around the sunny spot to maximize the casual, intimate feel of summer living. To air out is divine. Show damp winter smells an easy exit by opening windows and letting the fresh scent of summer take over. Easy summer face-lifts. Forget fancy; summer is made for simplicity. Give your bathroom or living room a natural look by filling a pretty glass bowl with seashells or fresh lemons; place it beside the sink or on a coffee table. Freshen your kitchen or dining room with mason jars or simple white pitchers spilling with fresh summer flowers. Be happy! No time to keep up appearances? Set aside a little time as the sun sets each evening to return the day's misplaced items to their proper locations. A home with everything in its place simply looks cleaner - even if you haven't dusted since Easter!